For original article published in Newsmax, click here. As the new U.S. government gets formed, it is time to turn our attention to the most prominent policy commitments that catapulted Donald Trump to the presidency. Trump’s campaign vows include bringing back manufacturing jobs by exiting the TPP (Trans-Pacific Partnership), renegotiating the terms of NAFTA and other fair trade agreements, imposing tariffs on goods imported from China and Mexico, imposing a 35% tariff on goods sold by U.S. manufacturers that move jobs overseas, full repeal of Obamacare, lower business taxes, requirement for more funding from NATO members in return for protection, deportation of illegal immigrants, and building a wall along the Mexican border. It should come as no surprise that this vote for change is resonating across the globe as we have recently seen with the success of the Brexit vote and the most recent Italian referendum that rejected constitutional changes proposed by Prime Minister Matteo Renzi. On one hand, the rise in populism in Europe is fueled by a growing doubt of the viability and success of the European Union. However, at the root of these sentiments, both across Europe and now in the U.S., is the growing rejection of the political establishment that has failed to fire up job growth in favor of pushing globalization forward. While it may be true that globalization may impact job growth in a narrow sector or specific companies as jobs move out, there are other jobs that get created in other sectors to feed the globalization-powered rising buying power of the broader global population. It is a mistake to judge the impact of globalization very narrowly instead of evaluating its potential to lift all boats across the globe. These new proposed economic policy changes have the potential to disrupt trade with foreign governments and partners and will force business owners to source more goods domestically and look to grow their businesses within the U.S. This could have a negative impact on our country’s economic growth and hence business owners by shutting off or limiting a huge segment of foreign markets. On the flip side, business owners can find the silver lining by entering new markets to supply goods and services that were previously imported, participate in the promised domestic infrastructure growth, tap into lower business taxes for more disposable profits for reinvestment and potentially repatriate foreign-held funds back into the U.S. if promoted through lower taxation. The clamp down on free trade could force foreign governments and partners to seek out and form different alliances leading to severe restrictions in available global market growth for American business owners. American business owners will be forced to look inward for new domestic opportunities and growth. However, it is very important to note that these potential negative impacts could be further blunted by digitization, a transformation that has already gained unstoppable momentum across all business sectors. The internet has been the biggest equalizer since its inception and will prove once again to be of value to American and global businesses. The move to digitize will now get more of a push than ever before. Business owners, big or small, will be forced to accelerate their digitization efforts to survive these major policy shifts and protect their footprint in the global marketplace by leveraging a digital presence to propagate new business models and services that could win both domestically and globally. 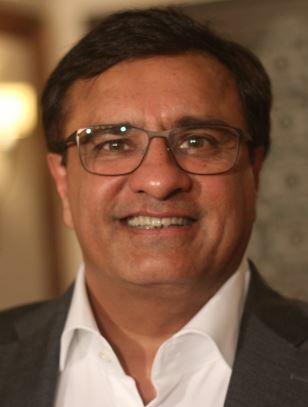 Dushyant Sukhija (www.dushyantsukhija.com), author of “The Cisco Way: Leadership Lessons Learned from One of the World’s Greatest Technology Services Companies” (www.theciscoway.com), is a former executive with Cisco Systems. He has an MBA from Santa Clara University in California and a Bachelor of Technology degree in electrical engineering from the Indian Institute of Technology in New Delhi, India. As a Silicon Valley thought leader and insider, he is highly sought after for his expert views and advice on digital transformation and as a speaker at forums around the world.